1.1 “AGENT”. Except when the context otherwise requires, any person who has authority, expressed or implied, to act for or on behalf of CARRIER in relation to the CARRIAGE of CARGO. 1.2 “AIR WAYBILL”. Any document made out by or on behalf of the SHIPPER, which evidences the contract between the SHIPPER and CARRIER of cargo. 1.3.6 the Convention for the Unification of Certain Rules for International Carriage by Air, done at Montreal on 28 May 1999; (the Montreal Convention of 1999) . 1.4 “CARGO” (which is equivalent to the term “GOODS”). Anything carried or to be carried in an aircraft or by any other means of transportation except mail, or baggage carried under a passenger ticket and baggage check, and includes any item moving under an AIR WAYBILL or SHIPMENT RECORD. 1.5 “CARRIAGE” (which is equivalent to the term “transportation”). CARRIAGE of CARGO by air or by any other means of transportation, whether gratuitously or for reward. 1.6 “CARRIER”. Includes the air carrier designated in the AIR WAYBILL or the SHIPMENT RECORD and all carriers that carry or undertake to carry the CARGO or to perform any other services related to such CARRIAGE. 1.7 “CHARGES COLLECT”. The charges entered on the AIR WAYBILL or SHIPMENT RECORD for collection from the CONSIGNEE against delivery of the SHIPMENT. 1.8 “CONSIGNEE”. The person whose name appears on the AIR WAYBILL or SHIPMENT RECORD, as the party to whom the SHIPMENT is to be delivered by CARRIER. 1.9 “DAYS”. Full calendar days, including Sundays and legal holidays; provided that for purposes of notification the balance of the day upon which notice is despatched shall not be counted. 1.10 “DELIVERY SERVICE”. The surface CARRIAGE of inbound SHIPMENTS from the airport of destination to the address of the CONSIGNEE or that of his designated agent or to the custody of the appropriate government agency when required. 1.11 “PICK-UP SERVICE”. The surface CARRIAGE of outbound SHIPMENTS from the point of pickup at the address of the SHIPPER or that of his designated agent to the airport of departure. 1.12 “SHIPMENT” (which is equivalent to the term “consignment”). Except as otherwise provided herein, one or more packages or pieces of CARGO accepted by CARRIER from one SHIPPER at one address, receipted for in one lot and under a single AIR WAYBILL or a single SHIPMENT RECORD, for CARRIAGE to one CONSIGNEE at one destination address. 1.13 “SHIPMENT RECORD”. Any record of CARRIAGE preserved by CARRIER, evidenced by means other than an AIR WAYBILL. 1.14 “SHIPPER” (which is equivalent to the term “consignor”). The person whose name appears on the AIR WAYBILL or SHIPMENT RECORD, as the party contracting with CARRIER for the CARRIAGE of CARGO. 1.15 “SPECIAL DRAWING RIGHT”. A Special Drawing Right as defined by the International Monetary Fund. These conditions shall apply to all CARRIAGE of CARGO, including all services incidental thereto, performed by or on behalf of CARRIER; provided however that if such CARRIAGE is “International Carriage” as defined in the APPLICABLE CONVENTION such CARRIAGE shall be subject to the provisions of the APPLICABLE CONVENTION and to these conditions to the extent that these conditions are not inconsistent with the provisions of such APPLICABLE CONVENTION. 2.2.2 these conditions and other applicable tariffs, rules, regulations and timetables (but not the times of departure and arrival therein specified) of CARRIER which may be inspected at any of its offices and at airports from which it operates regular services. These conditions do not apply to CARRIAGE between places in the United States or in Canada or between a place in the United States or in Canada and any place outside thereof. Any tariffs that apply to such CARRIAGE are available from CARRIER. To the extent permitted by law with respect to gratuitous CARRIAGE, CARRIER reserves the right to exclude the application of all or any part of these conditions. With respect to CARRIAGE of CARGO performed pursuant to a charter agreement with CARRIER, such CARRIAGE shall be subject to CARRIER’s charter tariffs applicable thereto (if any) and these conditions shall not apply except to the extent provided in said charter tariff. Where CARRIER has no charter tariff applicable to such charter agreement, these conditions shall apply to such agreement except that CARRIER reserves the right to exclude the application of all or any part of these conditions and, in case of divergence between the applicable provisions of these conditions and the conditions contained or referred to in the charter agreement, the latter shall prevail and the SHIPPER, by accepting CARRIAGE pursuant to a charter agreement, whether or not concluded with the SHIPPER, agrees to be bound by the applicable terms thereof. These conditions and the published rates and charges are subject to change without notice except to the extent otherwise provided by applicable law or government regulations or order; provided however that no such change shall apply to a contract of CARRIAGE after the date of conclusion of the contract of CARRIAGE or after the date the rate or charge for the CARRIAGE has been entered in the SHIPMENT RECORD. All CARRIAGE of CARGO governed by these conditions shall be subject to CARRIER’s rules, regulations and tariffs in effect on the date of the conclusion of the contract of CARRIAGE, provided that in the event of inconsistency between these conditions and CARRIER’s rules, regulations and tariffs, these conditions shall prevail. 3.1.1.4 they are not likely to endanger aircraft or any other means of transportation, persons or property, or cause annoyance to passengers. 3.1.2 To the extent permitted by law the CARRIER reserves the right without assuming any liability to refuse CARRIAGE of CARGO when circumstances so require. CARRIER may refuse CARRIAGE of SHIPMENTS having a declared value for CARRIAGE in excess of the amount specified in CARRIER’s regulations. 3.3.1 SHIPPER is responsible for ensuring that the CARGO is packed in an appropriate way for CARRIAGE so as to ensure that it can be carried safely with ordinary care in handling and so as not to injure or damage any persons, goods or property. Each package shall be legibly and durably marked so as to identify the SHIPPER and CONSIGNEE. 3.3.2 The CARRIER reserves the right to refuse the transportation of cargo that is not suitably packed and/or marked. Special CARGO, including but not limited to valuables, dangerous goods, live animals, perishables, fragile goods, and human remains, is acceptable only under the conditions set forth in CARRIER’s regulations applicable to the CARRIAGE of such CARGO. Responsibility for non-observance of the conditions relating to the CARRIAGE of CARGO rests upon the SHIPPER who shall indemnify CARRIER for any loss, damage, delay, liability or penalties CARRIER may incur because of CARRIAGE of any such CARGO. CARRIER reserves the right to examine the packaging and contents of all SHIPMENTS and to enquire into the correctness or sufficiency of information or documents tendered in respect of any SHIPMENT but CARRIER shall be under no obligation to do so. When SHIPPER undertakes to load a unit load device (ULD) he must comply with CARRIER’s loading instructions and shall be liable for and indemnify CARRIER against all consequences of any non-compliance with such instructions. The SHIPPER shall make out or have made out on his behalf, an AIR WAYBILL in the form, manner and number of copies prescribed by CARRIER, and shall deliver such AIR WAYBILL to CARRIER simultaneously with the acceptance of the CARGO by CARRIER for CARRIAGE. However, charges for CARRIAGE and other charges, insofar as they have been ascertained, shall be inserted in the AIR WAYBILL by CARRIER. CARRIER may require the SHIPPER to make out, or have made out on his behalf, separate AIR WAYBILLs when there is more than one package. CARRIER, with the expressed or implied consent of the SHIPPER, if required by the APPLICABLE CONVENTION, may substitute for the delivery of an AIR WAYBILL a SHIPMENT RECORD to preserve a record of the CARRIAGE to be performed. If such SHIPMENT RECORD is used CARRIER shall, if so requested by the SHIPPER, deliver to the SHIPPER in accordance with CARRIER’s regulations a receipt for the CARGO permitting identification of the SHIPMENT and access, in accordance with CARRIER’s regulations, to the information contained in the SHIPMENT RECORD. If the apparent order and condition of the CARGO and/or packing is in any way defective the SHIPPER shall, if an AIR WAYBILL is delivered, include on the AIR WAYBILL a statement of such apparent order and condition. If no AIR WAYBILL is delivered , the SHIPPER shall advise CARRIER of the apparent order and condition of the CARGO, to enable CARRIER to insert an appropriate reference thereto in the SHIPMENT RECORD. However, if the SHIPPER fails to include such statement in the AIR WAYBILL or to advise CARRIER of the apparent order and condition of the CARGO, or if such statement or advice is incorrect, CARRIER may include in the AIR WAYBILL or insert in the SHIPMENT RECORD a statement of the apparent order and condition of the CARGO, or note a correction thereto. CARRIER may at the request of the SHIPPER expressed or implied, make out the AIR WAYBILL in which event, subject to proof to the contrary, CARRIER shall be deemed to have done so on behalf of the SHIPPER. If the AIR WAYBILL handed over with the CARGO or if the particulars and statements relating to the CARGO furnished by or on behalf of the SHIPPER to CARRIER for insertion in the SHIPMENT RECORD do not contain all the required particulars, or if the AIR WAYBILL or such particulars or statements contain any error, CARRIER is authorised to complete or correct the AIR WAYBILL or particulars or statements to the best of CARRIER’s ability without being under any obligation to do so. The SHIPPER is responsible for the correctness of the particulars and statements relating to the CARGO inserted by him or on his behalf in the AIR WAYBILL or furnished by him or on his behalf to CARRIER for insertion in the SHIPMENT RECORD. Where such information is provided by means of Electronic Data Interchange (EDI), it is the responsibility of the SHIPPER or the SHIPPER’s agent to verify contents, accuracy and completeness of the EDI messages and subsequent messages according to the agreed standards and specifications. The SHIPPER shall indemnify CARRIER against all damage suffered by him, or by any other person to whom CARRIER is liable, by reason of the irregularity, incorrectness or incompleteness of the particulars and statements furnished by the SHIPPER or on his behalf. AIR WAYBILLS, the writing on which has been altered or erased, need not be accepted by CARRIER. Rates and charges for CARRIAGE governed by these conditions are those duly published by CARRIER and in effect on the date the contract of carriage has been concluded. Rates and charges will be based on the units of measurement and subject to the rules and conditions published in CARRIER’s regulations and rate tariffs. Except as otherwise provided in CARRIERS’ regulations, rates and charges apply only from airport to airport and do not include any ancillary service given by CARRIER in connection with the CARRIAGE. 5.4.1 Rates and charges are published in the currency shown in the applicable rate tariffs, and may be paid in any currency acceptable to CARRIER. When payment is made in a currency other than in the currency in which the rate or charge is published, such payment will be made at the rate of exchange established for such purpose by CARRIER, the current statement of which is available for inspection upon first request at CARRIER’s office where payment is made. The provisions of this paragraph are subject to applicable exchange laws and government regulations. 5.4.2 Full applicable charges, whether prepaid or collect, fees, duties, taxes, charges, advances and payments, made or incurred or to be incurred by CARRIER and any other sums payable to CARRIER, will be deemed fully earned, whether or not the CARGO is lost or damaged, or fails to arrive at the destination specified in the contract of CARRIAGE. All such charges, sums and advances will be due and payable upon receipt of the CARGO by CARRIER, except that they may be collected by carrier at any stage of the service performed under the contract of carriage and may be collected at any time upon demand of CARRIER. 5.4.3 The SHIPPER guarantees payment of the freight rate, storage charges and all other unpaid charges, unpaid CHARGES COLLECT, advances and disbursements of CARRIER. The SHIPPER also guarantees payment of all costs, expenditures, fines, penalties, loss of time, damage and other sums which CARRIER may incur or suffer by reason of the inclusion in the SHIPMENT of articles the CARRIAGE of which is prohibited by law, or the illegal, incorrect or insufficient marking, numbering, addressing or packing of packages or descriptions of the CARGO, or the absence, delay or incorrectness of any export or import licence or any required certificate or document, or any improper customs valuation, or incorrect statement of weight or volume. CARRIER shall have a lien on the CARGO for each of the foregoing and, in the event of non-payment thereof, shall have the right to dispose of the CARGO at public or private sale (provided that prior to such sale CARRIER shall have mailed notice thereof to the SHIPPER or to the CONSIGNEE at the address stated in the AIR WAYBILL) and to pay itself out of the proceeds of such sale any and all such amounts. No such sale shall, however, discharge any liability to pay any deficiencies, for which the SHIPPER and the CONSIGNEE shall remain jointly and severally liable. By taking delivery or exercising any other right arising from the contract of CARRIAGE, the CONSIGNEE agrees to pay such charges, sums and advances, except prepaid charges. 5.4.4 If the gross weight, measurement, quantity or declared value of the CARGO exceeds the gross weight, measurement, quantity or declared value on which charges for CARRIAGE have been previously computed, CARRIER shall be entitled to require payment of the charge on such excess. 5.4.5 CHARGES COLLECT SHIPMENTs will be accepted only to countries listed in CARRIER’s regulations and subject to the conditions contained therein. In any event CARRIER reserves the right to refuse SHIPMENTs on a CHARGES COLLECT basis to any country where regulations prevent the conversion of funds into other currencies or the transfer of funds to other countries. Information on countries to which CHARGES COLLECT service is available may be obtained from offices and representatives of CARRIER. 5.4.6 All charges applicable to a SHIPMENT are payable at the time of acceptance thereof by the CARRIER in the case of a prepaid SHIPMENT, i.e. a SHIPMENT on which the charges are to be paid by the SHIPPER, or at the time of delivery thereof by the CARRIER in the case of a collect SHIPMENT, i.e. a SHIPMENT on which the charges are to be paid by the CONSIGNEE. 5.4.7 CARRIER may cancel the CARRIAGE of the SHIPMENT upon refusal by the SHIPPER, after demand by CARRIER, to pay the charges or portion thereof so demanded, without CARRIER being subject to any liability therefore. 6.1.1 The SHIPPER shall comply with all applicable laws, customs and other government regulations of any country to or from which the CARGO may be carried, including those relating to the packing, CARRIAGE or delivery of the CARGO, and shall, together with the SHIPMENT, furnish such information and deliver such documents as may be necessary to comply with such laws and regulations. CARRIER shall not be obliged to inquire into the correctness or sufficiency of such information or documents. CARRIER shall not be liable to the SHIPPER or any other person for loss or expense due to SHIPPER’s failure to comply with this provision. The SHIPPER shall be liable to CARRIER for any damage occasioned by the failure of the SHIPPER to comply with this provision. 6.1.2 CARRIER shall not be liable for refusing to carry any SHIPMENT if CARRIER reasonably determines in good faith that such refusal is required by any applicable law, government regulation, demand, order or requirement. CARRIER is authorised (but shall be under no obligation) to advance any duties, taxes or charges and to make any disbursement with respect to the CARGO and the SHIPPER and by taking delivery or exercising any other right arising out of the contract of CARRIAGE the CONSIGNEE, shall be jointly and severally liable for the reimbursement thereof. No CARRIER shall be under obligation to incur any expense or make any advance in connection with the forwarding or reforwarding of the CARGO except against prepayment by the SHIPPER. If it is necessary to make customs entry of the CARGO at any stopping place, and no customs clearance AGENT has been named on the face of the AIR WAYBILL or in the SHIPMENT RECORD, the CARGO shall be deemed to be consigned to the CARRIER carrying the CARGO to such place. For any such purpose a copy of the AIR WAYBILL, or of the SHIPMENT record, certified by the CARRIER, shall be deemed original. SHIPMENT RECORD, CARRIER undertakes to carry the CARGO with reasonable despatch but assumes no obligation to carry the CARGO by any specified aircraft or over any particular route or routes, or to make connections at any point according to any particular schedule. Times shown in CARRIER’s timetables or elsewhere are approximate and not guaranteed and form no part of the contract of CARRIAGE. No time is fixed for commencement or completion of CARRIAGE or delivery of CARGO. CARRIER is hereby authorised to select or deviate from the route or routes of the SHIPMENT, notwithstanding that the same may be stated on the face of the AIR WAYBILL or in the SHIPMENT RECORD. CARRIER is not responsible for errors or omissions either in timetables or other representations of schedules. No employee, AGENT or representative of CARRIER is authorised to bind CARRIER by any statements or representations of the dates or times of departure or arrival, or of operation of any flight. 6.3.2 CARRIER is authorised to carry the consignment without notice wholly or partly by any other means of transportation or to arrange such CARRIAGE. 6.3.3 If it considers that it would be advisable to do so because of any fact beyond its control or not reasonably to be foreseen, anticipated, or predicted at the time the CARGO was accepted; or if it reasonably considers that any other circumstances so require, taking into account the interests of the SHIPPER, CARRIER reserves the right without notice, to cancel, terminate, divert, postpone, delay or advance any flight, or the further CARRIAGE of any CARGO, or to proceed with any flight without all or any part of the CARGO. 6.3.4 Provided that no regulations/laws to the contrary are applicable, in the event any flight is, pursuant to 6.3.3, cancelled, diverted, postponed, delayed or advanced or is terminated at a place other than the place of destination or in the event the CARRIAGE of any SHIPMENT is so cancelled, diverted, postponed, delayed, advanced or terminated, CARRIER shall only be liable for gross negligence and willful misconduct. . In the event the CARRIAGE of the SHIPMENT or any part thereof is so terminated, delivery thereof by CARRIER to any transfer agent for transfer or delivery or the placing of such SHIPMENT in storage shall be deemed complete delivery under the contract of CARRIAGE, and CARRIER shall be without any further liability with respect thereto, except to give notice of the disposition of the SHIPMENT to the SHIPPER or to the CONSIGNEE, at the address stated in the AIR WAYBILL or SHIPMENT RECORD. CARRIER may, but shall not be obligated to, forward the SHIPMENT for CARRIAGE by any other route or forward the SHIPMENT as AGENT for the SHIPPER or the CONSIGNEE for onward CARRIAGE by any transportation service on behalf of the SHIPPER or the CONSIGNEE. The cost of doing so attaches to the CARGO. 6.3.5 Unless otherwise agreed, and subject to applicable laws, regulations and orders, CARRIER is authorised to determine the priority of CARRIAGE as between SHIPMENTS, and as between CARGO and mail or passengers. CARRIER may likewise decide to remove any articles from a SHIPMENT, at any time or place whatsoever, and to proceed with the flight without them. If as a result of determining such priority, CARGO is not carried or CARRIAGE thereof is postponed or delayed or if any articles are removed from a SHIPMENT, CARRIER will not be liable to SHIPPER or CONSIGNEE or to any other party for any consequences therefore. If in the opinion of CARRIER it is necessary to hold the SHIPMENT at any place for any reasonable purpose, either before, during or after CARRIAGE, CARRIER may, upon giving notice thereof to the SHIPPER, store the SHIPMENT for the account and at the risk and expense of the SHIPPER, in any warehouse or other available place, or with the customs authorities; or CARRIER may deliver the SHIPMENT to another transportation service for onward CARRIAGE to the CONSIGNEE. The SHIPPER shall indemnify CARRIER against any expense or risk so incurred. Every exercise of the right of disposition must be made by the SHIPPER or his designated AGENT, if any, and must be applicable to the whole SHIPMENT under a single AIR WAYBILL, or under a single SHIPMENT RECORD. The right of disposition over the CARGO may only be exercised if the SHIPPER or such AGENT produces the part of the AIR WAYBILL which was delivered to him, or communicates such other form of authority as may be prescribed by CARRIER’s regulations. Instructions as to disposition must be given in writing in the form prescribed by CARRIER. In the event that the exercise of the right of disposition results in a change of CONSIGNEE, such new CONSIGNEE shall be deemed to be the CONSIGNEE appearing on the AIR WAYBILL or in the SHIPMENT RECORD. 7.2.2 Provided that if, in the opinion of CARRIER, it is not reasonably practicable to carry out the order of the SHIPPER, CARRIER shall so inform him promptly and CARRIER shall thenceforth be under no obligation to carry out any such order. The SHIPPER shall be liable for and shall indemnify CARRIER for all loss or damage suffered or incurred by CARRIER as a result of the exercise of his right of disposition. The SHIPPER shall reimburse CARRIER for any expenses occasioned by the exercise of his right of disposition. Provided that no regulations to the contrary are applicable, the SHIPPER’s right of disposition shall cease at the moment when, after arrival of the CARGO at the destination, the CONSIGNEE takes possession or requests delivery of the CARGO or AIR WAYBILL, or otherwise shows his acceptance of the CARGO. Nevertheless, if the CONSIGNEE declines to accept the AIR WAYBILL or the CARGO, or if he cannot be communicated with, such right of disposition shall continue to vest in the SHIPPER. Notice of arrival of the SHIPMENT will, in the absence of other instructions, be sent to the CONSIGNEE and any other person whom CARRIER has agreed to notify as evidenced in the AIR WAYBILL or SHIPMENT RECORD; such notice will be sent by ordinary methods. CARRIER is not liable for non-receipt or delay in receipt of such notice. 8.2.2 when the SHIPMENT has been delivered to customs or other government authorities as required by applicable law or customs regulation. Except as provided in 9.3, the CONSIGNEE must accept delivery of and collect the SHIPMENT at the airport of destination or the respective facility as designated by the CARRIER. 8.4.1 Subject to the provisions of 8.5 hereof, if the CONSIGNEE refuses or fails to take delivery of the SHIPMENT after its arrival at the airport of destination, CARRIER will endeavour to comply with any instructions of the SHIPPER set forth on the face of the AIR WAYBILL, or in the SHIPMENT record. If such instructions are not so set forth or cannot reasonably be complied with, CARRIER shall notify the SHIPPER of the CONSIGNEE’s failure to take delivery and request his instructions. If no such instructions are received within thirty (30) DAYS, CARRIER may sell the SHIPMENT in one or more lots at public or private sale, or destroy or abandon such SHIPMENT. 8.4.2 The SHIPPER is liable for all charges and expenses resulting from or in connection with the failure to take delivery of the SHIPMENT, including, but not limited to, storage charges and CARRIAGE charges incurred in returning the SHIPMENT if so required by the SHIPPER’s instructions. If the SHIPMENT is returned to the airport of departure and the SHIPPER refuses or neglects to make such payments within fifteen (15) DAYS after such return, CARRIER may dispose of the SHIPMENT or any part thereof at public or private sale after giving the SHIPPER ten (10) DAYS notice of its intention to do so. 8.5.1 When a SHIPMENT containing perishable articles as defined in CARRIER’s regulations is delayed in the possession of CARRIER, is unclaimed or refused at place of delivery, or for other reasons is threatened with deterioration, CARRIER may immediately take such steps as it sees fit for the protection of itself and other parties in interest, including but not limited to the destruction or abandonment of all or any part of the SHIPMENT, the sending of communications for instructions at the cost of the SHIPPER, the storage of the SHIPMENT or any part thereof at the risk and cost of the SHIPPER, or the disposition of the SHIPMENT or any part thereof at public or private sale without notice. 8.5.2 In the event of the sale of the SHIPMENT as provided for above, either at the place of destination or at the place to which the SHIPMENT has been returned, CARRIER is authorised to pay to itself and other transportation services out of the proceeds of such sale all charges, advances, and expenses of CARRIER and other transportation services plus costs of sale, holding any surplus subject to the order of the SHIPPER. A sale of any SHIPMENT shall, however, not discharge the SHIPPER and/or owner of any liability hereunder to pay any deficiencies. By accepting delivery of the SHIPMENT the CONSIGNEE shall become liable for payment of all costs and charges in connection with the CARRIAGE. Unless otherwise agreed the SHIPPER shall not be released from his own liability for these costs and charges and will remain jointly and severally liable with the CONSIGNEE. CARRIER may make delivery of the SHIPMENT or the AIR WAYBILL conditional upon payment of these costs and charges. Are accepted for CARRIAGE from their receipt at CARRIER’s cargo terminal or airport office at the place of departure to the airport at the place of destination or the respective facility as designated by the CARRIER. PICK-UP SERVICE and DELIVERY SERVICE will be available at the points, to the extent and subject to the rates and charges established for such services in accordance with the applicable regulations of CARRIER. PICK-UP SERVICE, if available, will be provided when requested by the SHIPPER. Except when otherwise provided by CARRIER’s tariffs, DELIVERY SERVICE may be provided unless contrary instructions are given by the SHIPPER or by the CONSIGNEE. Such contrary instructions must be received by CARRIER prior to removal of the SHIPMENT from CARRIER’s airport terminal at destination. PICK-UP SERVICE and DELIVERY SERVICE will not be provided by CARRIER without special arrangement for any SHIPMENT which, in the opinion of CARRIER, because of its volume, nature, value or weight is impractical for CARRIER to handle in normal course. If PICK-UP SERVICE or DELIVERY SERVICE is performed by or on behalf of CARRIER, such transportation shall be upon the same terms as to liability as set forth in article 11 hereof unless otherwise provided by mandatory regulations. 10.1 CARRIAGE to be performed under one contract of CARRIAGE by several successive CARRIERS is regarded as a single operation. 11.1 CARRIER is liable to the SHIPPER, CONSIGNEE or any other person for damage sustained in the event of destruction or loss of, or damage to, or delay in the CARRIAGE of CARGO only if the occurrence which caused the damage so sustained took place during the CARRIAGE as defined under Article 1. 11.2 To the extent provided by APPLICABLE CONVENTION, CARRIER’s liability shall be limited to the amount stipulated in such APPLICABLE CONVENTION notwithstanding the existence of gross negligence or willful misconduct on the part of the CARRIER. 11.3 Except as may be otherwise provided for in any APPLICABLE CONVENTION, CARRIER is not liable to the SHIPPER, CONSIGNEE or any other person for any damage, delay or loss of whatsoever nature arising out of or in connection with the CARRIAGE of CARGO or other services performed by CARRIER or its AGENTS, unless such damage, delay or loss is proved to have been caused by the gross negligence or willful misconduct of CARRIER. 11.4 CARRIER is not liable if the destruction, loss of or damage to CARGO is proved to have resulted solely from the inherent defect, quality, nature or vice of that CARGO. 11.5 CARRIER will not be liable for any loss, damage or expense arising from death due to natural causes or death or injury of any animal caused by the conduct or acts of the animal itself or of other animals such as biting, kicking, goring or smothering, nor for that caused or contributed to by the condition, nature or propensities of the animal, or by defective packing of the animal, or by the inability of the animal to withstand unavoidable changes in its physical environment inherent in the CARRIAGE . 11.6 To the extent not in conflict with applicable law, the CARRIER shall not be liable in any event for any consequential loss or damage arising from CARRIAGE subject to these conditions, whether or not CARRIER had knowledge that such loss or damage might be incurred. 11.7 Contributory negligence on the part of the SHIPPER, CONSIGNEE or other claimants releases the CARRIER of its liability to the extent provided by APPLICABLE CONVENTION and applicable law. 11.8 Liability of CARRIER shall not exceed the APPLICABLE CONVENTION limit or, if no convention applies, 17 special drawing rights, per kilogram of CARGO destroyed, lost, damaged or delayed. If, with the agreement of the CARRIER, the SHIPPER has made a special declaration of value for CARRIAGE and has paid the supplementary sum applicable, it is agreed that any liability shall in no event exceed such declared value for CARRIAGE stated on the face of the AIR WAYBILL or included in the SHIPMENT RECORD. All claims shall be subject to proof of value. 11.9 In the case of loss, damage or delay of part of the SHIPMENT, or of any object contained therein, the weight to be taken into consideration in determining the amount to which CARRIER’s liability is limited shall be only the weight of the package or packages concerned. Nevertheless, when the loss, damage or delay of part of the SHIPMENT, or of an object contained therein, affects the value of other packages covered by the same AIR WAYBILL, the total weight of such package or packages shall also be taken into consideration in determining the limit of liability. In the absence of proof to the contrary, the value of any such part of the SHIPMENT lost, damaged or delayed as the case may be, shall be determined by reducing the total value of the SHIPMENT in the proportion that the weight of that part of the SHIPMENT lost, damaged or delayed has to the total weight of the SHIPMENT. 11.10 The SHIPPER, and to the extent permitted by applicable law, the owner and CONSIGNEE, whose property or SHIPMENT causes damage to or destruction of another SHIPMENT or of the property of CARRIER, shall indemnify CARRIER for all losses and expenses incurred by CARRIER as a result thereof. CARGO which, because of inherent defect, quality or vice or because of defective packing, is likely to endanger aircraft, persons or property may be abandoned or destroyed by CARRIER at any time without notice and without liability therefore attaching to CARRIER. 11.11 A CARRIER issuing an AIR WAYBILL for CARRIAGE over the lines of another CARRIER does so only as AGENT for such other CARRIER. 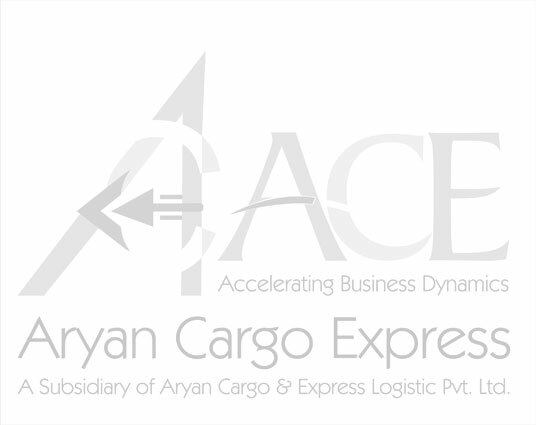 Any reference in a SHIPMENT record to CARRIAGE to be performed by another CARRIER shall be deemed to refer to CARRIAGE to be provided as principal by such other CARRIER. No CARRIER shall be liable for the loss, damage or delay of CARGO not occurring on its own line except that the SHIPPER shall have a right of action for such loss, damage or delay on the terms herein provided against the first CARRIER and the CONSIGNEE or other person entitled to delivery shall have such a right of action against the last CARRIER under the contract of CARRIAGE. 11.12 Whenever the liability of CARRIER is excluded or limited under these conditions, such exclusion or limitation shall apply to AGENTS, servants or representatives of CARRIER and also to any CARRIER whose aircraft or other means of transportation is used for CARRIAGE. 12.1 Receipt by the person entitled to delivery of the CARGO without complaint is prima facie evidence that the same has been delivered in good condition and in accordance with the contract of CARRIAGE. 12.2.4 in the case of non-delivery of the goods, within one hundred and twenty (120) DAYS of the date the goods ought to have arrived at destination. 12.3 The right to damages shall be extinguished if an action is not brought within 2 years, reckoned from the date of arrival at the destination, or from the date on which the aircraft ought to have arrived, or from the date on which the transportation stopped. The method of calculating that period shall be determined by the law of the court seized of the case. 13. To the extent that any provision contained or referred to herein is contrary to anything contained in the APPLICABLE CONVENTION, and in any applicable laws, government regulations, orders or requirements that cannot be waived by agreement of the parties, such provision shall not apply. The invalidity of any provision shall not affect the validity of any other provision contained herein. 14. 1 No AGENT, servant or representative of CARRIER has authority to alter, modify or waive any provision of the contract of CARRIAGE or of these conditions.